What are My Options if I Cannot Pay My Taxes in Full? 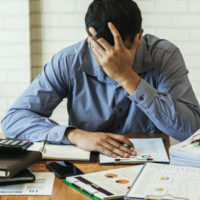 As a result of the changes made by the Tax Cuts and Jobs Act (TCJA), which went into effect last year, many taxpayers have struggled to determine how much they owe in taxes, whether they qualify for a refund, and who is eligible for a waiver of the tax penalties that come with a failure to pay one’s taxes in full. Fortunately, there are options for taxpayers who are unable to meet their full tax obligation, so if you don’t believe that you will be able to pay your taxes in full, it is important to speak with an experienced Florida tax attorney who is well-versed in these options and can ensure that you are not unfairly penalized by the IRS. In an effort to help taxpayers adjust to the changes made by the TCJA, the IRS recently adjusted the penalty waiver that applies to those who accidentally withhold too little from their paychecks. Based on these adjustments, taxpayers can now avoid a penalty for failing to pay all of their taxes as long as they paid at least 85 percent of their total liability. In prior years, this threshold was higher, at 90 percent, leaving many taxpayers to pay hefty penalties and fines. Obtaining a loan, which can help taxpayers pay off their remaining tax deb without incurring excessive interest and penalties that would otherwise be charged by the IRS. Not all taxpayers qualify for these payment options, so if you are unable to pay your tax bill in full, you should speak with an attorney as soon as possible about whether you are eligible for any of these payment plans. If you are unable to meet your tax obligations, please call 386-490-9949 and a member of our legal team will help you schedule a free one-on-one consultation with dedicated Florida tax attorney Ronald Cutler, P.A.